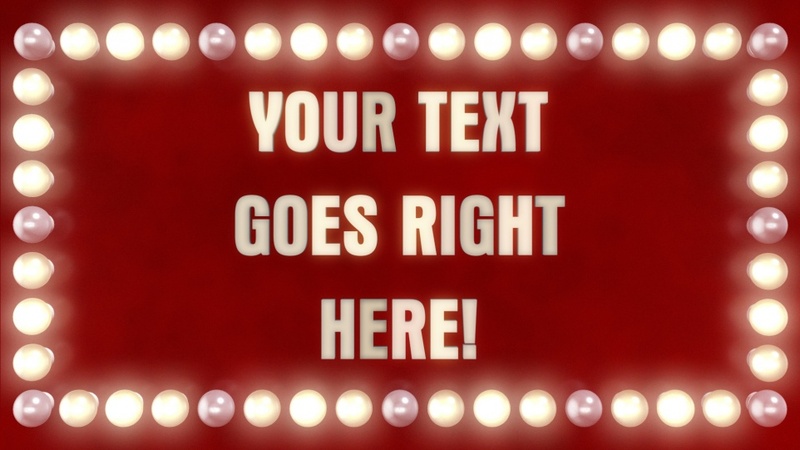 Your text is surrounded by a frame of lightbulbs which flash rapidly like the signage you find on theatres and cinemas. Choose from glowing text on a black background, or black text on a cinema-style illuminated background. Perfect for hollywood themed parties, displaying theatre and cinema show titles, and much more. The font used in this design is Aurora Bold Condensed. If you would like to use this in your own designs, it is available here.